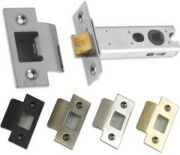 Delamain heavy duty tubular mortice door latches, specified for use with unsprung door furniture such as the Delamain door knob collection and other handles. Available in 2 ½, 3, 4 & 5 inch sizes, in brass, chrome or bronze plate finish. 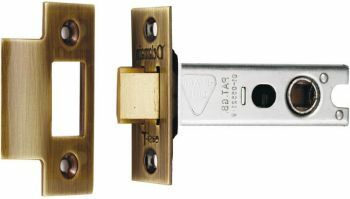 NB: The 2 ½ inch latch will not take bolt through fixings, and for door knobs we would recommend at least a 3inch latch is used.